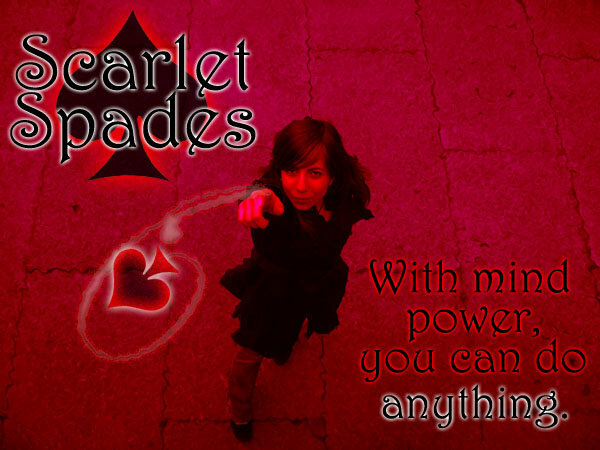 "Scarlet Spades" began as a video game alias. It has since evolved to represent a set of personal projects Nadi (Mx Spades) is involved in. With interests spanning from yoga and meditation, to physics and computer science, to electronic music and media, Nadi is a jack of all "spades" and a master of none. Their principle life mission is to cultivate self-awareness, to understand the mind, and to help themself and others break free from its shackles. Nadi began learning to mix on vinyl and CDJ's in Fall 2009. They learned mostly with trance and drum & bass, and played their first rave in Spring 2010. Since then, they have been slowly perfecting the craft of mixing psychedelic chillout and psychedelic dub music, among other genres. With music ranging from 60-180 BPM, Mx Spades' sets are an eclectic montage of energy levels. Each genre of music has its own unique benefits and challenges! Nadi began using Traktor in Summer 2011, and has grown to love it. Looking for my yoga website? Click here!